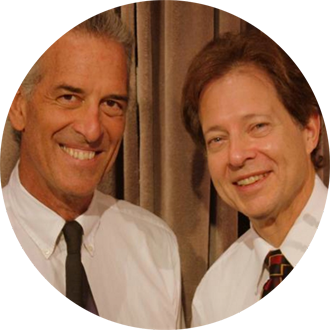 Award-winning musicians singer/songwriters Smitty West and Bob Ryman team up to perform classical background music. But if you ask for it…they’ll get you out of your chair with pop, rock, country, and everything in between! The perfect classy and clean sound for your party or event…elegant with a little twinkle in the eye! Smitty is an award-winning songwriter and music producer, and is also the founder of “Ojai Songwriters Anonymous,” a songwriter support group promoting the craft. Smitty’s home is Euterpe Farms, a native plant farm in Ojai, where he produces regular gatherings to celebrate local music and nature. His other activities include international humanitarian landmine action, opera and theater, and sound engineering through his private studio and record label, Euterpe Music Company. He released a solo album in 2008 titled, Your World, a collection of 12 original songs, spanning genres of folk, rock, metal, and country. He was the manager and keyboard player for Ojai-based original rock band, Myridian, and producer of the band’s full-length cd, Prime Myridian, in 2007. Bob Ryman was born in Houston, Texas into a musical family. He began violin lessons at the age of eight, studying with Joseph Gallo, the concertmaster of the Houston Symphony. While in high school, his family moved to Hollywood, Florida. At the age of fifteen, Bob was performing with the Hollywood Philharmonic. Bob graduated from the University of Texas at Austin with a degree in Radio, Television and Film. While in Austin Bob expanded his technique on the violin, learning folk and country fiddling, jazz, and Broadway show tunes. He also began composing original music for the fiddle. Bob Ryman has been a headline violinist/entertainer, performing on all the major cruise lines, as well as in Las Vegas and Atlantic City. He has been teaching violin and viola for over 10 years in the Conejo Valley. He performs with the Moorpark Symphony Orchestra and the Topanga Symphony and is a member of the American String Teachers Association. With his vast experience and variety of musical styles he is uniquely able to bring out the best in all of his students. Bob Ryman plays favorites from Bluegrass to Broadway, from Country to Classics. He takes his audience on a musical journey with such showstoppers as THE ORANGE BLOSSOM SPECIAL, THE HOT CANARY, THE DEVIL WENT DOWN TO GEORGIA, and THE FLIGHT OF THE BUMBLEBEE. His repertoire includes music from RIVERDANCE, THE HUNGARIAN GYPSY CZARDAS, and selections from THE FIDDLER ON THE ROOF.